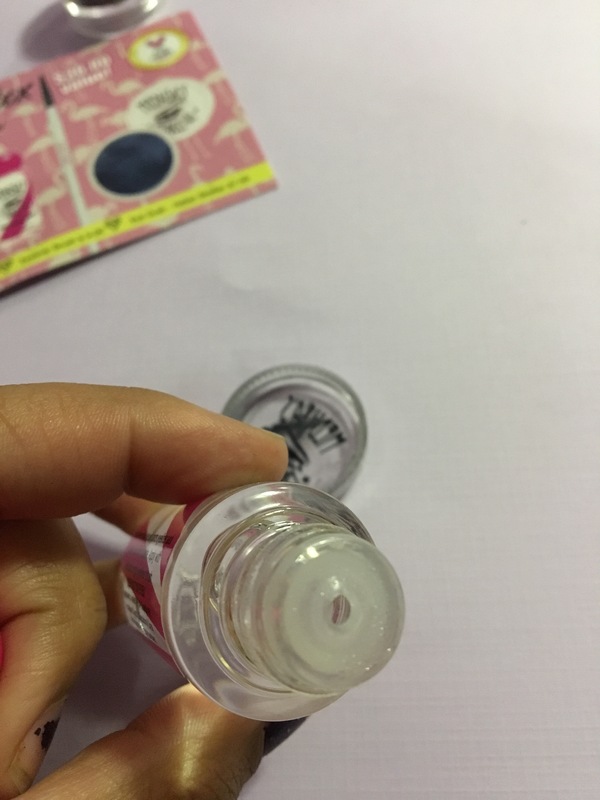 I know I know I’m super late with bringing what’s going in this months beauty box. I’m still trying to shake off this do nothing depression and anxiety business, but ya know how it is. One step forward and two steps back. 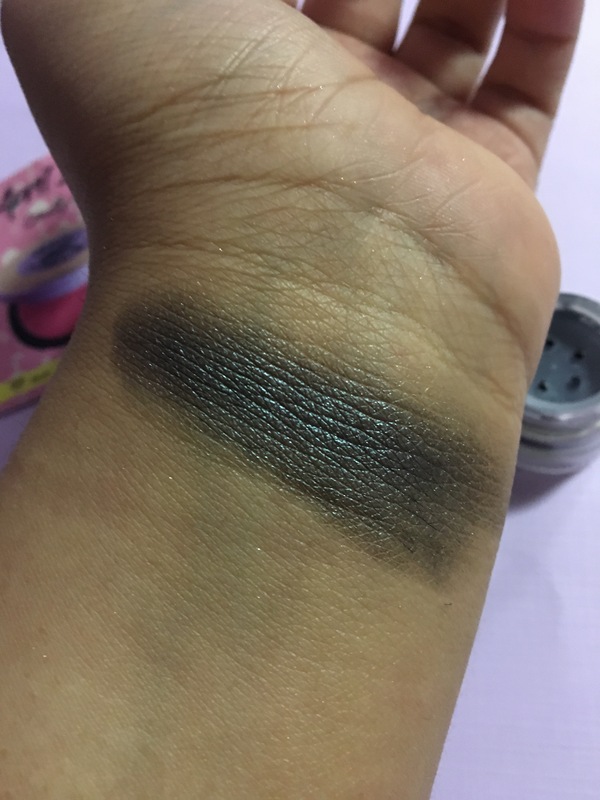 So let’s no waste any more time and get right down into swatches. 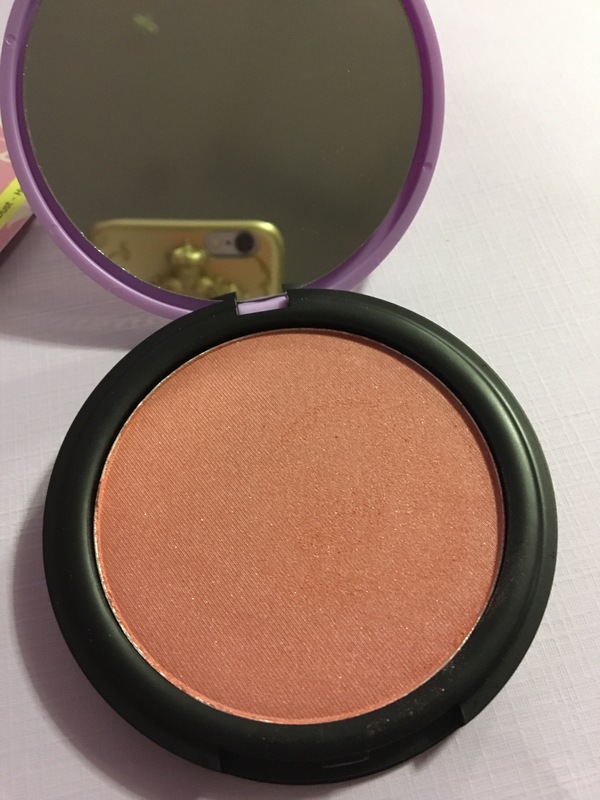 Georgia Peach is a shimmery peach blush. I tend to stay away from peach and coral blushes. It doesn’t look bad on my skin but I just prefer brighter blushes. This is the only blush I didn’t own before in the loose version. It’s very pretty, blendable and buildable. I really like this brush. 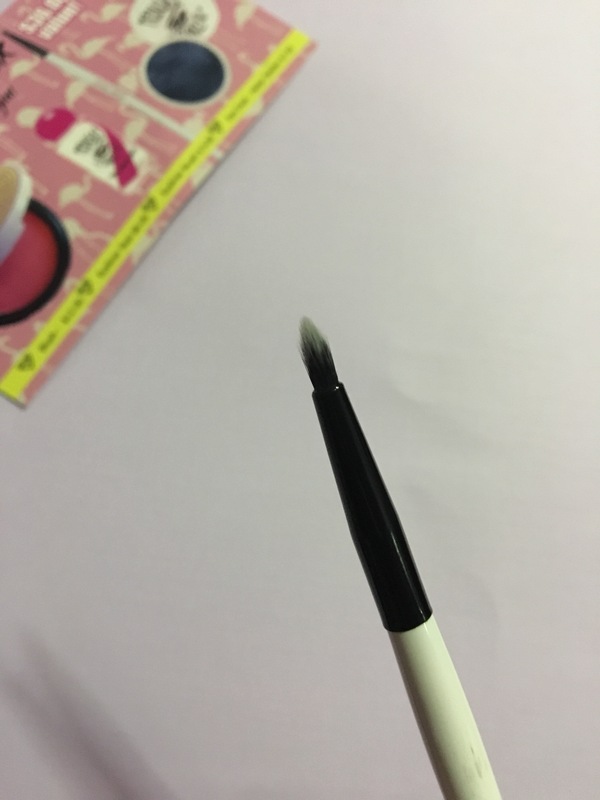 It has a thin tapered top and I’ll probably use this for concealing the brow or inner corner highlight. Helter Skelter is a blackened navy with a light blue shift. This color is really beautiful. It reminds me of a peacock feather or an oil sick. It’s 1.5 grams and comes with a shifter. 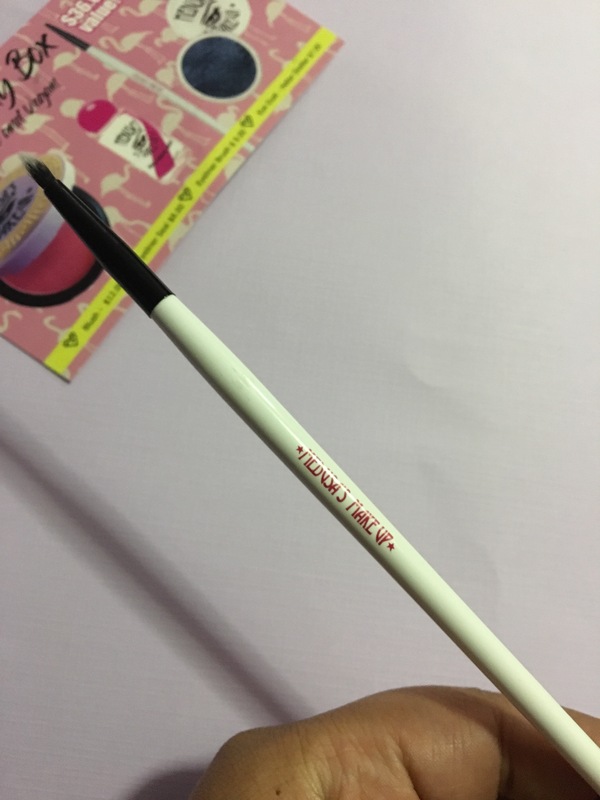 I never had an eyeliner seal or a mixing medium before so this was cool to receive. I didn’t even know they made this. 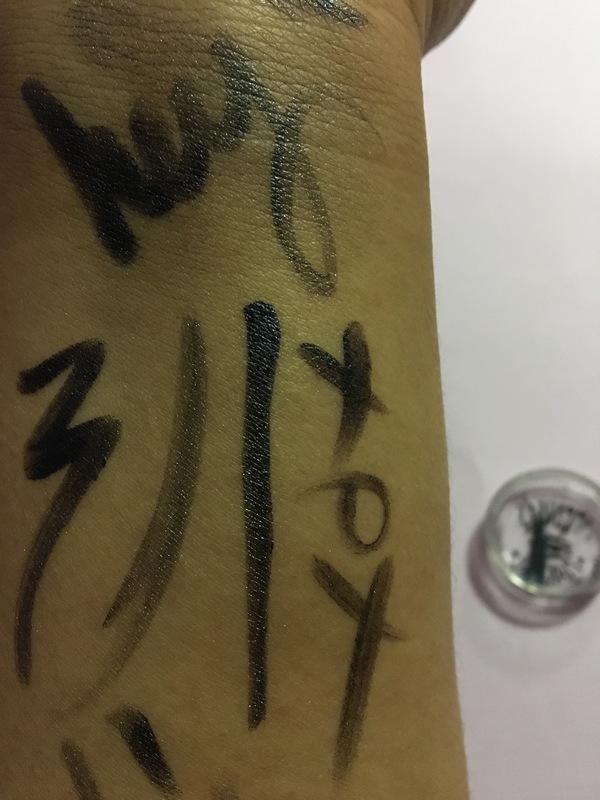 As you can see I tried to give it a go on my arm. 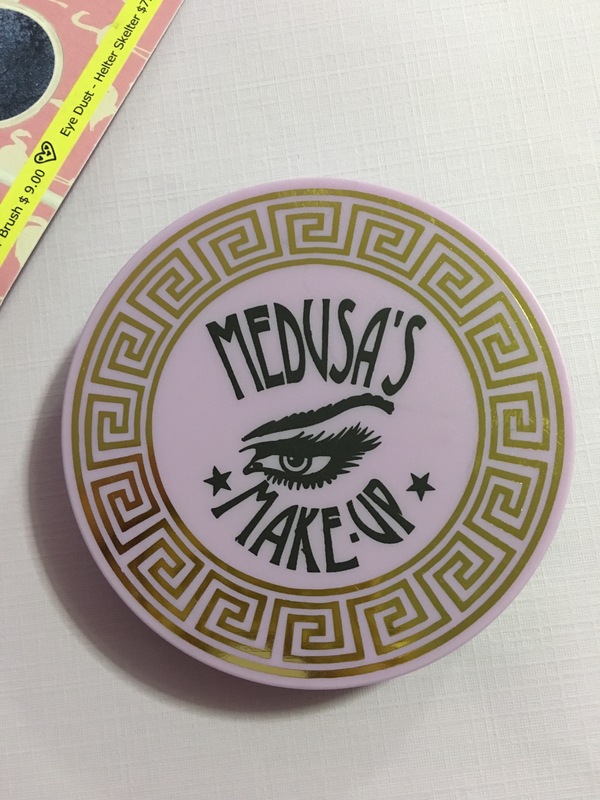 All of Medusa’s Makeup are vegan and cruelty free. I have code for 15% off your order until May 31st: Pink. 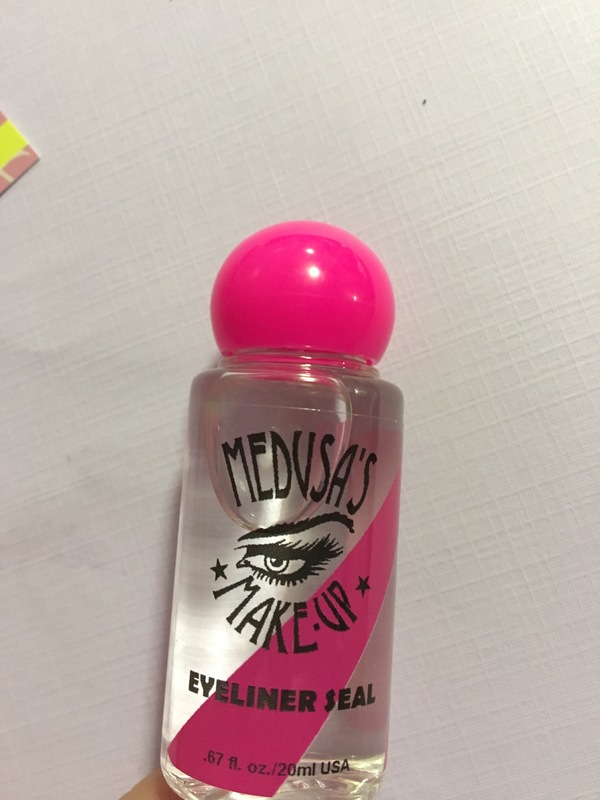 Visit medusasmakeup.com to get these goodies or some others you may like. 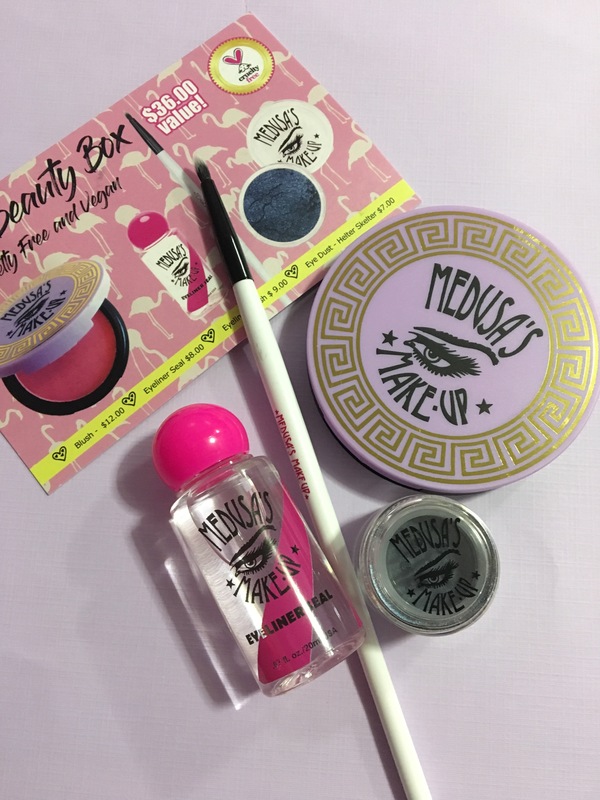 Hope this has helped you guys in deciding whether or not to get this beauty box. Thank you so much for reading and stay purple. 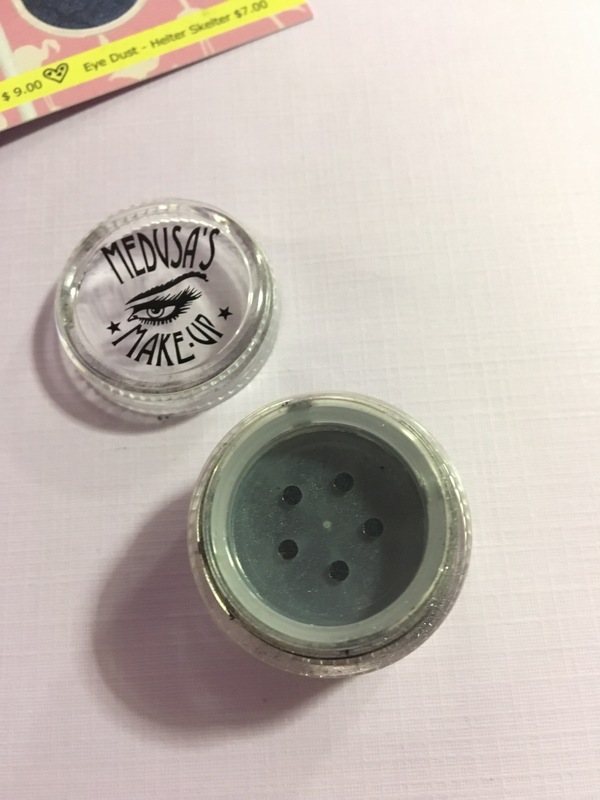 This entry was tagged beauty, beauty subscription, cruelty free makeup, eyeliner seal, georgia peach blush, makeup, Medusa's Makeup, Medusa's Makeup Beauty Box, vegan makeup. Bookmark the permalink. Yay! I’m so happy that you’re checking them out! They have some amazing products you won’t be disappointed! Love this 💜 I’m so gonna order something! Thank you so much! 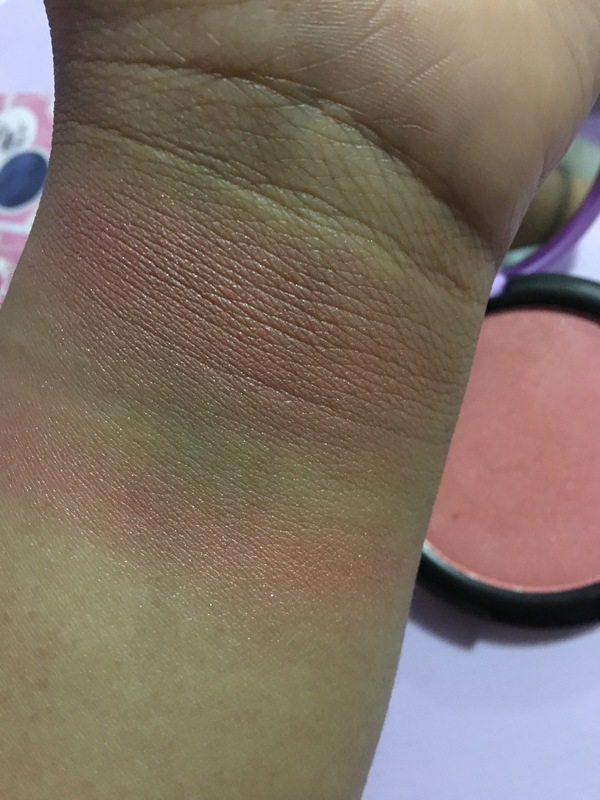 You should definitely check out the blushes and highlighters! Really great box! Great review!